The Community Center Action Committee (CCAC) is no longer part of Project 1590. The City of Fairmont appointed a separate committee to develop a business plan for the city. Although the CCAC is no longer part of Project 1590, we would like to briefly review the history of this project. In 2014 the local grass roots group Project 1590 surveyed the community to find out what improvements to the area people would like to see. The number one response was a community center. Based on the results of their survey Project 1590 began the process of coming up with ideas on how to fund building a community center here, which is how the local sales tax option idea was created. Project 1590 brought this idea to the city council who agreed to put it on the ballot for a city wide vote. On November 8, 2016, the citizens of Fairmont voted overwhelmingly in support of the local option sales tax, which allows the city to raise $15 million in revenue from this one-half of one-percent tax over 25 years. Both the Project 1590 survey results and the recent election results clearly show that there is majority support for a community center project in this community and this project has been the talk of the town for a better part of a year. After the election, city officials reached out to many local community leaders to begin discussions on “What do we do now?” on this community center project. Any project of this nature is inherently a public/private partnership, and projects of this type are large and complex. In consultation with the city, a new group was formed to begin the due diligence process of formally creating a plan that would result in the construction of a community center. To be clear, this new group is not Project 1590, while many active 1590 members are part of this group, it is a new, stand alone committee with only one goal, to get a community center built in Fairmont. We write to you today to give you an update on what this group has done the last few months to keep this community center project moving forward. The group’s first two meetings were attended by a large number of community members, too many to be an effective working group. So at the second meeting we developed a plan to trim our numbers down to a main working group of a manageable size and establish a plan for sub-committee work. This working group then set out to answer this seemingly simple question- “How do we get from where we are today, to an actual building of which this community will be proud?” We determined that we needed to develop a business plan and a model to figure out what we should build, and how that would be funded. Affordability and sustainability are crucial to this project, much focus has been placed not just on initial construction costs, but also annual operating budgets of the facility once built. At the outset, it became clear to the group that third party experts, companies who work on projects like this for a living, needed to be engaged. As such we have now interviewed three different organizations, each of them highly qualified as owner’s representatives or construction managers, to help Fairmont navigate this process. Our committee is currently vetting these three groups to determine which may be the right fit for our community and the project we envision. Who we work with to keep this project moving forward is a critical question, one we are taking very seriously. Many people are putting in a lot of time to try and get it right. We look forward to giving you future updates on this project as details and plans develop. But for now, please know that many talented people are working very hard on finding the right path forward to make the Fairmont community center, something so clearly supported by a majority of Fairmont citizens, a reality. We welcome any questions or feedback you’d like to share.- Please contact either of the co-chairs of our group, Brandon Edmundson (brandon@krasha.com) or Steve Hawkins (steve@hawkinsbestprice.com) with any questions you may have or if you’d like to be involved in a sub-committee. A Message from Randy Lubenow: As head of the Project 1590 Fairmont Community Center Committee, I have had the opportunity to attend numerous meetings on the proposed half cent sales tax. I would like to share with you how YOUR vote matters. Voting YES will make a DIFFERENCE in Fairmont for the better. First I would like to clarify a common myth about the half cent sales tax the City of Fairmont is proposing. This tax will not raise your property taxes nor does it have anything to do with any property or real estate you own in Fairmont or Martin County. The half cent sales tax will ONLY be collected on items currently subject to Minnesota sales tax. Remember in Minnesota we do not tax clothing, shoes, groceries or services. The proposed half cent sales tax will NOT apply to these things. Anytime you shop in Albert Lea, Austin, Mankato, Marshall, New Ulm, North Mankato, Rochester or Worthington in southern Minnesota, you are choosing to pay at least a half cent additional tax. Fairmont is the only town over 10,000 people in southern Minnesota that does not have a local sales tax. All of these other cities use the money for capital projects such as community centers in THEIR town. If Fairmont collects this tax EVERYONE, including visitors that use our services or that shop in Fairmont, will pay this tax towards OUR Regional Wellness Center along with other community capital enhancement projects such as parks and new trails in the Region. 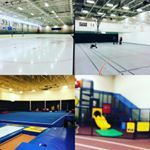 The Fairmont Community Center could house a Senior Citizen CENTER with a full kitchen, Field House with walking track and four courts for pickle ball, tennis, basketball, soccer and anything in between. Within the Center could be a therapy pool for rehab of injuries that citizens could use to receive treatment. An ice arena, which, in the winter could house ice sports and ice skating for enjoyment, along with a removable floor for indoor soccer, baseball, softball and anything else played on turf. Within this complex could be a community area, housing updated technology, computers for our citizens, and an educational study area along, with a large banquet hall and meeting rooms. It could also have a children’s indoor play area so families with young children could enjoy active play during our winters and on rainy days. All of these buildings could be used daily throughout the year to bring conventions, camper shows and other events to Fairmont, adding money to our local economy as well. This complex will complement the efforts involved in building our community economics, Brain Gain efforts and attracting businesses that can provide healthy incomes for families. The complex will complement our local schools. Building a Community Center has been talked about for decades in Fairmont. The time has come for Fairmont. The time for Fairmont is now. Our community continues to build Fairmont From the Ground Up. We are excited to advocate for you and for this effort. Fairmont is a beautiful community deserving of this endeavor. Vote Yes for Fairmont on November 8, 2016. •Committee Meetings are the first and third Tuesday’s of every month. These meetings take place at 5:15 p.m. at the Fairmont Chamber of Commerce. Please Contact us or any of the members listed above if interested in attending. January 2016- Regional wellness center awarded a 20k grant form The U of M for Design Charrette. This will give a visual of what certain properties could like for the wellness center and beyond. Members of Project 1590 have toured a few of the community centers in southern MN, to see photos check out our Facebook Page.